Keith’s away this month, so Nathan’s here to explain why an Alpina makes more sense than an M.
Alpina began by tuning and racing BMWs, but its mods were so extensive the firm became a manufacturer in its own right. Rare, fast cars followed - including the B7 BiTurbo S models, packing a monstrous 1980s-style turbo 330bhp into the already wayward E28 and E24 chassis. They were more than aftermarket lash-ups. 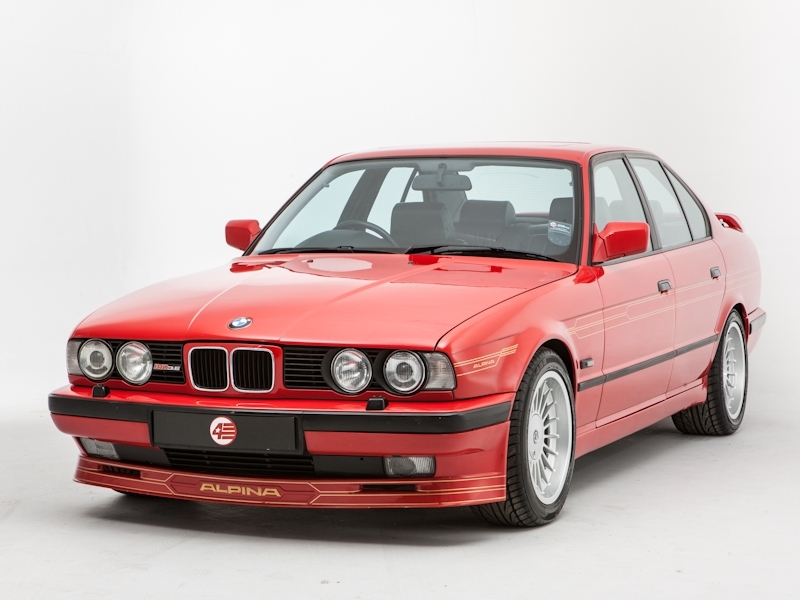 Alpina invested £2m into the B10 BiTurbo, a 360bhp monster of an E34 5 Series that could out-punch a Testarossa – in 1989. Jump from a normal BMW and you’ll tell immediately. The damping feels so attuned to difficult road surfaces, soft and compliant while still maintaining excellent levels of interaction and steering feel, totally unlike an AMG Mercedes-Benz. In fact, that’s the best way to describe the Alpina experience – the best bits of a BMW M and an AMG Benz, with none of the bad bits of either. So why don’t we see them everywhere? Ever since the E39 M5, the lines between Alpina and the M lot have tightened. Even the E90 M3 got a V8 and felt more of an Alpina than the equivalent Buchloe machine. The outgoing M3 uses a twin-turbo inline six – like the old B10 BiTurbo. The M5 uses a handbuilt N63 V8 engine... and Alpina hand-builds its own for the B5. Performance figures are close, and both are 4WD. Other than the fact the B5 is available as an estate and the M5 isn’t, how would you choose? Alpina did a good trade in special diesel 3 Series and 5 Series for the past 10 years but with the rush away from oil burners, I worry that Alpina will eventually fade away. That would be a huge shame, as the engineering talent at Buchloe, and at its UK arm at Sytner Nottingham, deserves much wider praise – and sales. If you think your M drives well on our crap British roads, then try an Alpina. You’ll be shocked. Perhaps Buchloe’s future lies with something inspired by its modern classic archive. In particular, the B6 3.5 S. This E30 used an M3 body and chassis, but fitted it with a 254bhp 3.5-litre six-pot. Imagine a new B6, an M2 with an N63 V8. Better still: restart production of the B7 Turbo S and B10 BiTurbo, Singer-style. Now there’s an idea. Nathan's been with Modern Classics since the start after working on Classic Cars and LRO. And, er, Veterinary Times...?